Reduced price pads! The Premier Equine pads are great pads, but I don't have room to continue stocking them and there are lots of other tack shops in the US that carry them. I've updated the color selections to the remaining colors and when they're gone, they're gone. 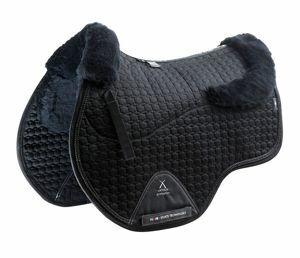 Premier Equine Merino GP Pad - Sale! 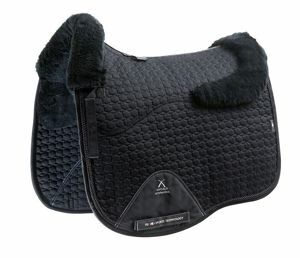 Luxurious Merino wool saddle pads and numnahs perfect for everyday use or competition... Wool can absorb up to 30% of its own weight in moisture and will therefore help keep your horse dry under saddle. It's also less likely to cause allergic skin reactions. These pads fit Ghost and Bua nicely. Premier Equine Merino Dressage Pad - Sale!